Oh. My. Goodness. This book was something else. Whoa…. Wow! I feel like I’ve literally been dragged through a vast array of emotionally charged and mostly dangerous moments. Now, I am sitting here stunned, somewhat happy, but not relieved. Happy that I’ve been recommended such an arresting, and completely absorbing series. But relief? None. My heart is still pumping from what just happened, and the apprehension (and anxiousness) of a few more things to come. You see, as warned by my reader friends, at the end of book one, you realize it’s only just begun. Oh… I do feel a little relief, of course. I’m relieved that I can immediately move on to the next one, cause believe me. I need to. Honestly people. How in the heck did you handle the end of book#1, knowing that you had to wait for the second one? Or did you? Did it come out right away also? Cause that would have been the only fair thing for the publishers to do. Although, Karen Marie Moning’s Fever series sure made us suffer, so, maybe you Hunger Games people were put through the “waiting game” ringer too? So guess what I’m doing today? Uh huh. That’s right. Being a reading couch potato and completely indulging myself in this crazy series. But, I need some time, to absorb, contemplate, and feel out book #1. And what better way to do it, than in the form of a book review? It’s not paranormal, but it IS set in the future (lots of cool techie things). But not for the citizens of the poverty stricken districts that surround “The Capitol” (where all the rich, famous and government people reside). What must it be like, I wonder, to live in a world where food appears at the press of a button. How would I spend the hours I now commit to combing the woods for sustenance if it were so easy to come by? What do they do all day, these people in the Capitol, besides decorating their bodies and waiting around for a new shipment of tributes to roll in and die for their entertainment? Once upon a time, an uprising happened, lots of people suffered, and an entire district was destroyed by their government. Now those of “The Capitol” (that govern this dystopian world), keep all of the poor citizens in line by playing a yearly, televised game. Think Steven King’s “The Running Man” mixed in with “The Lottery” mixed in with that movie Stone Cold Steve Austin was in? Remember that crazy movie? “The Condemned” – that’s it!! Anyway, each year a male and female teen of each “district” is selected by a random drawing, and forced into a televised season of “survival of the fittest”. Sidenote: The “districts”, I’m assuming, are States that each have a role in creating, harvesting or providing goods and services for The Capitol, and the rich. The poverty stricken laborers work in dangerous conditions, often going hungry and falling ill, with no real “substantial” assistance from their government. In fact, the government keeps them in line with strict laws, outrageous punishments, and worst of all, this yearly “sporting event”. The mayor steps up to the podium and begins to read. It’s the same story every year. He tells of the history of Panem, the country that rose out of the ashes of a place that was once called North America. He lists the disasters, the droughts, the storms, the fires, the encroaching seas that swallowed up so much of the land, the brutal war for what little sustenance remained. The result was Panem, a shining Capitol ringed by thirteen districts, which brought peace and prosperity to its citizens. Then came the Dark Days, the uprising of the districts against the Capitol. Twelve were defeated, the thirteenth obliterated. The Treaty of Treason gave us the new laws to guarantee peace, and as our yearly reminder that the Dark Days must never be repeated, it gave us the Hunger Games. The rules of the Hunger Games are simple. In punishment for the uprising, each of the twelve districts must provide one girl and one boy, called tributes, to participate. The twenty four tributes will be imprisoned in a vast outdoor arena that could hold anything from a burning desert to a frozen wasteland. Over a period of several weeks, the competitors must fight to the death. That last tribute standing wins. The selected teens are then brought to the Capitol for training, interviews, gourmet meals and even beauty makeovers. Potentially turning each “gamer” into a celebrity (mind you, the ones in the game are not happy – the only winner is the last one alive). Fans are made, bets are placed, sponsors that might aid them (with food or supplies) during the game are aqcuired, and then… it’s on. She has reminded me why I’m here. Not to model flashy costumes and eat delicacies. But to die a bloody death while the crowds urge on my killer. They are set free on a piece of land, forced to fight to stay alive. Fighting against extreme weather conditions, lack of sustenance, and each other. And really, it’s not necessarily “survival of the fittest” as they are even subject to the unfair whims of the “game” controllers who decide to throw in some drama or extra danger if things get too boring for the viewing audience. And believe me, you’ll have a hard time catching your breath throughout. Strategies are planned, battles are fought, and allies are made (and sometimes lost). The emotional agony surmounts when betrayal, and the feeling of hopelessness takes it’s toll on them (and us). But, there are moments of relief and downtime, allowing the reader to relate to the characters, and to bond with them, as some bond with each other (in particular, the main character Katniss, and her fellow “tribute” Peeta – a young seemingly honorable male that has secretly come to her rescue in her past). It’s because he’s being kind. Just as he was kind to give me the bread. The idea pulls me up short. A kind Peeta Mellark is far more dangerous to me than an unkind one. Kind people have a way of working their way inside me and rooting there. And I can’t let Peeta do this. Not where we’re going. However there are many moments that will have you questioning their motives (and even a few from opposing districts that become potential friends). The main character “Katniss” had both my respect and my extreme irritation MANY times. But I could understand where she was coming from. How can you truly be friends and connect with someone that eventually might have to kill you? Or that you might have to kill? These books may be about “teens” but there is nothing young about them. Most have lived a lifetime of hardship by the age of 16, and have a wisdom and strength beyond their years. So Jenn… any tears on the last one. I was far beyond tears. Too numb. OMG Maryse…I told you, I told you, I told you. I didn’t cry in this one or the second, but it did have me grabbing my chest in desperation! How about that Peeta? There are not enough words. There are just not enough words. I’ve been wanting to read this book forever. This is going to the top of my to-buy list. Oh just you wait Jade! Awesome books. First two I loved. Third, well I have a love/hate relationship with, but it’s good nonetheless. Just very VERY exhausting. I TOLD YOU ALL!!!!! Can’t wait to read your reviews for Catching Fire & Mockingjay!!!! I’m new to your blog and I love your reviews! I have already jotted some books down for vacation I’m taking! 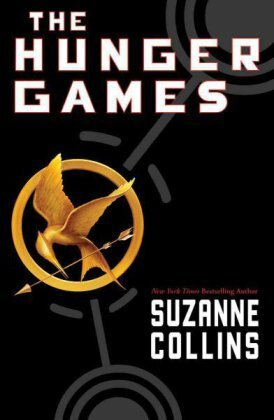 I read/loved hunger games, are there any other series you’d recommend? (I already read Chemical gardens, 2 of the lauren oliver delirium series and 2 of the Divergent series) I flew through them – any other recommendations?! This book is just perfect! I read all the 3 books and they were amazing. The third book was the first book where I had to cry while reading it. This trilogy is such an amazing story, and the movies are just fantastic. But of course, the books are better. The book was written fluently, so I was ready in 2 days or something, because I couldn’t stop. It was so exciting! Also, the characters are very clear, and her writing skills are just amazing. Suzanne Collins is a very good writer, and I love her books, especially The Hunger Games. I’m going to read more books of Collins, and I’m pretty sure that they will be also fantastic. I recommend this book to everybody.